- Faltom Rope Park in Nowy Dwór Wejherowski (15 km from the Hotel) on Tuesdays (15:00 - 17:00). Own transport. - disco in the Night Club every Saturday. Free cot for 2 years. - An adult in a single room - PLN 355 per night. Prices are for 1 night with a minimum stay of 3 nights. - An adult in a single room - PLN 345 ​​per night. Prices are for 1 night with a minimum stay of 6 nights. 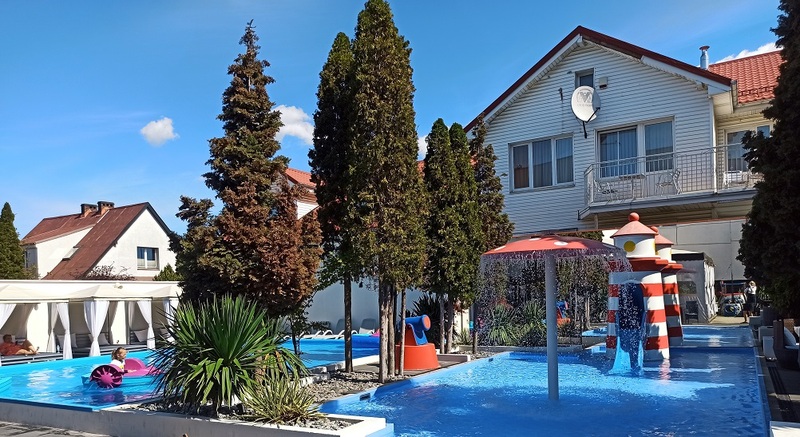 * third and each subsequent child up to 7 years on extra bed with breakfast and dinner - 70 PLN per night. - An adult in a single room - PLN 320 per night. Prices quoted for 1 day with a minimum stay of 9 nights. - In case of bad weather, the hotel reserves the right to cancel classes in the Rope Park.